There’s something shady about vines. Look at the names we give them—creepers, stranglers, parasites. I guess, in our puritan work ethic, there’s something morally dubious about a plant that can’t stand on its own two feet, so to speak. 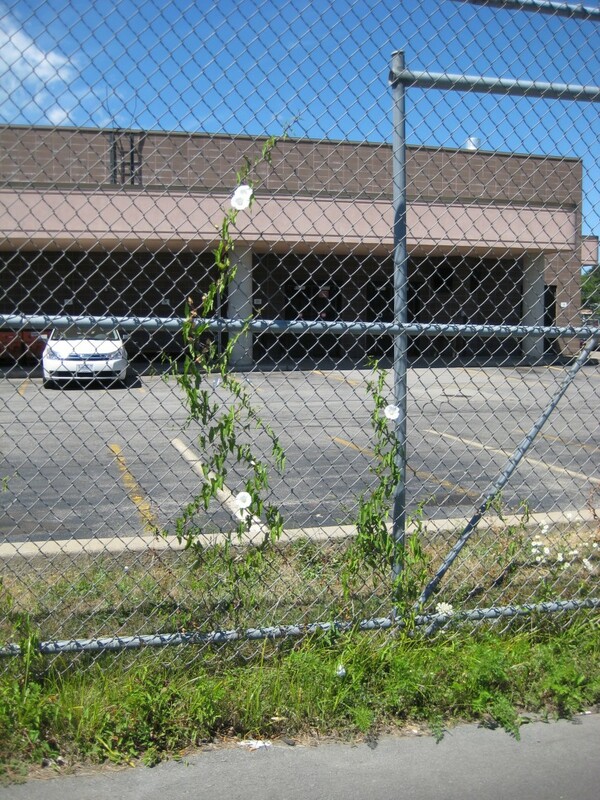 Why can’t vines get out and support themselves and not go draping themselves all over things? To call someone a “clinging vine” is to imply weakness. But actually vines are among the most powerful and successful plants on the planet. They succeed in ways more upright, self-supporting types can’t. Vines can exploit habitats that no other type of plant could use. 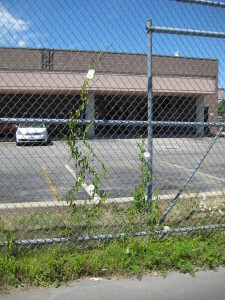 For example, a chain link fence. The seed germinates in a pocket of soil in a crack between the sidewalk and the fence. Other weeds get mowed, but not the morning glory. It wriggles up the fence, twining seductively around the metal, expanding over square footage that no other plant can use. This trick works for all sorts of vines, in all sorts of places, like the sides of elite colleges (they don’t call it the ivy league for nothing) or on more natural habitats like sand dunes or rocky cliffs. Or a tree which has unwillingly taken on the role of host. The vine can spread its leaves out on top of the leaves of the tallest tree, stealing the sun. It’s so simple it’s genius. Charles Darwin was fascinated with vines and spent years studying them because he considered them a triumph of evolution. Think about it. A tree has to have a rigid stem. Therefore it has to do lots of photosynthesis to create those thick-walled cells that make up the trunk. As the years pass, the tree gets taller and wider, each inch of growth requiring more strong, sturdy cells to hold up the leaves to the light so they can make more food to create more cells. Tree trunks get more rigid as they age. A vine on the other hand, has flexibility at its core. Vines don’t need rigid cells to support their weight. 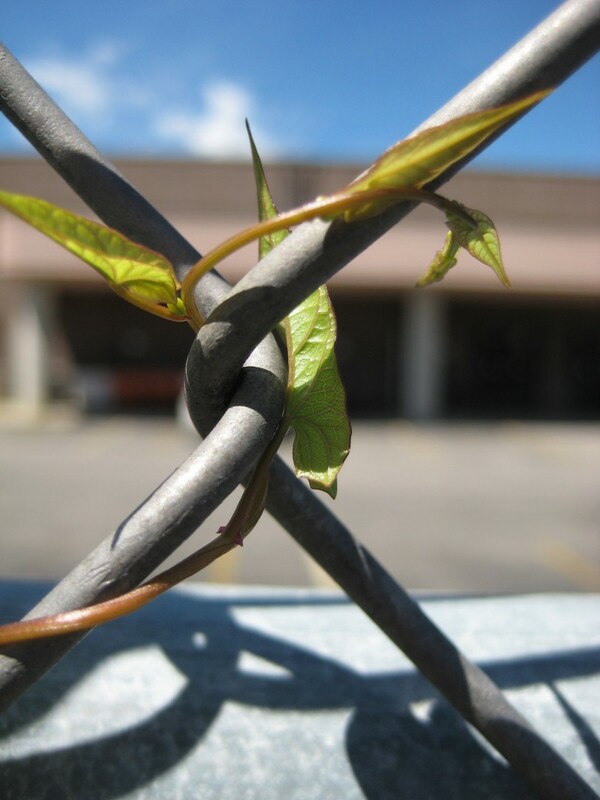 Vines can bend, twist, you can even tie knots in them and they still thrive. Vines are role models to us all–they actually become less rigid with age.